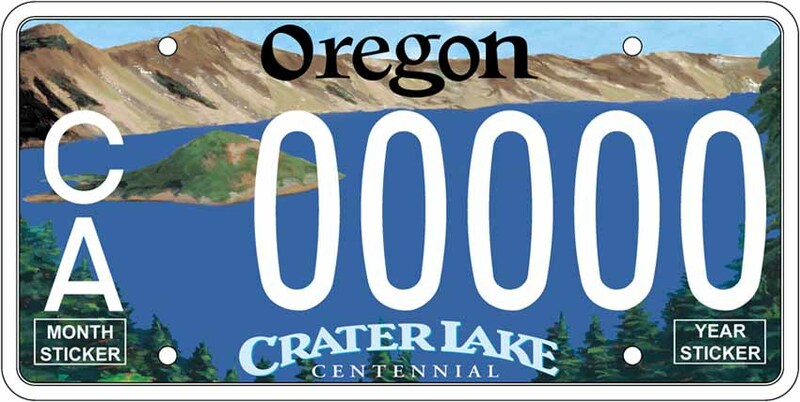 Oregon License Plates – Take Your Pick! With all the bells and whistles that new cars come equipped with these days, the impact of a stylish license plate on a car’s overall visual appeal can be underrated. Oregonians have a number of unique options vying to grace their bumpers, and we’re going to break down a few of the most popular options. This is the standard option, but don’t let that fool you; the simply named “Tree” plate is one of the handsomer license plates on the road. 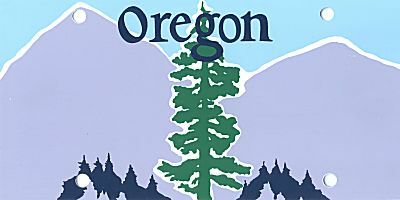 In a state with numerous cultures and climates, a fir tree is a tasteful emblem featuring an insignia all Oregonians are familiar with. The only Oregon plate that has the privilege of being limited edition, the Pacific Wonderland plate features a striking yet simple design. Paying tribute to the blue of the ocean and the gold that brought settlers to Oregon in droves, each Pacific Wonderland plate purchased benefits the Oregon State Capitol Program and the Oregon Historical Society. 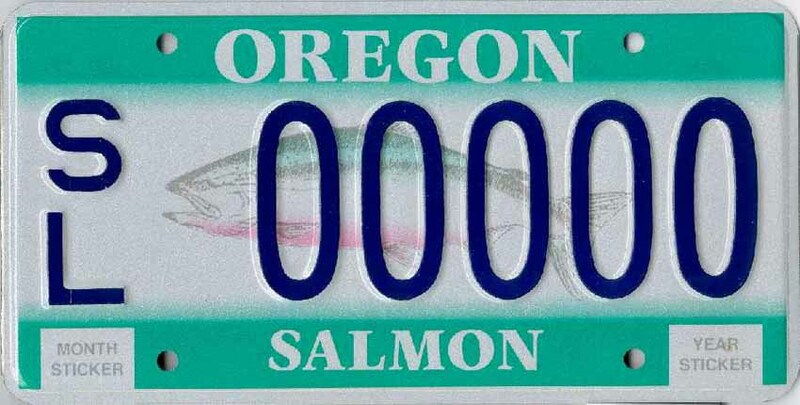 The Salmon plate provides the best of both worlds for Oregon’s fishing enthusiasts; you can both decorate your car or truck with gilled elegance and support the Oregon Watershed Enhancement Board and the Oregon Parks and Recreation Department. Making your fishing trips better and giving your bumper more character: nothing fishy about that! 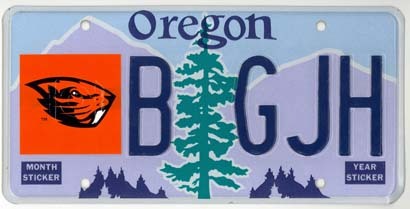 One of Oregon’s most recognizable natural features also graces one of its most handsome license plates. Featuring a view of the crater’s rim and Wizard Island, this plate is an ideal way to let the world’s deepest lake know you care; proceeds for every Crater Lake plate sold benefit Crater Lake National Park. 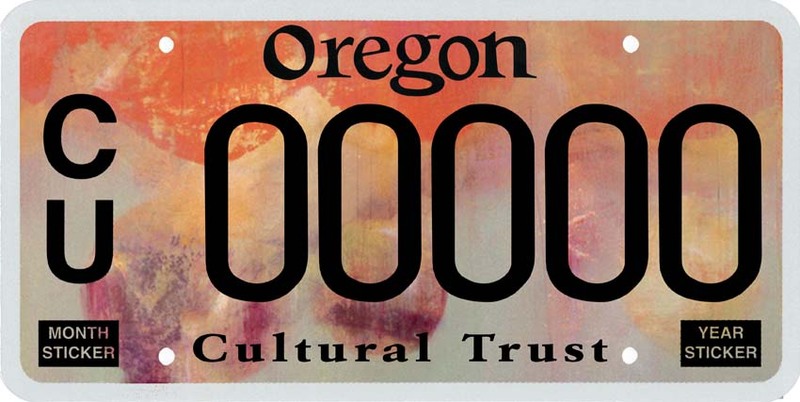 While most of Oregon’s plates feature and benefit the state’s natural features, the Cultural Trust plate is dedicated to our home state’s artistic side. The Oregon Cultural Trust partners with over 1,400 cultural nonprofits in Oregon, working to craft a cultural future as glowing as our cultural heritage. In most of the country, the phrase “Civil War” conjures images of one of our nation’s most painful conflicts. Yet in Oregon, the Civil War provides an annual cause to get excited about an epic battle…between Ducks and Beavers. 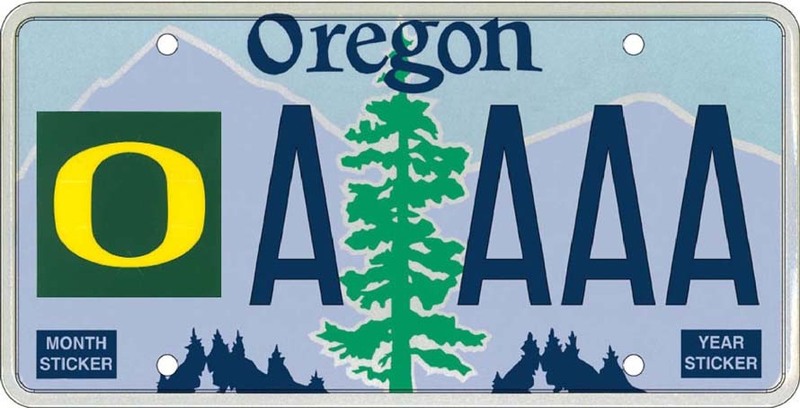 No college diploma is necessary to rock these plates; there are Oregonians who bleed green and gold or black and orange without ever even setting foot in Eugene or Corvallis. And as icing on the cake, plate fees go towards the college of your choice, strengthening the rivalry one car at a time. Oregon drivers have many options when it comes to license plates, but even more options when it comes to the vehicles they drive. We would love to help you find the car of your dreams, and when it comes time to take care of your plates, we’ll save you a trip to the DMV as well!